There is authority in the Name of Jesus. When Jesus appeared to John on the isle of Patmos, He said, “I am he that liveth, and was dead; and, behold, I am alive for evermore .. . and have the keys of hell and of death” (Rev. 1:18). The one who has the key is the authorized one. Jesus is saying here, “I am the authorized one.” He has authority. In My Name! In the Name of Jesus! He authorized us. He gave us His Name as the authority. The power is in the Name. The authority is in the Name. He gave us the Name that is above every name. He gave us the Name that is recognized in three worlds—the Name that has authority in heaven, on earth, and under the earth. Angels, men, and demons have to bow at that Name—and that Name belongs to us. We are authorized to use that Name. He commissioned us: “All authority is given me in heaven and in earth, Go ye therefore. And these signs shall follow them that believe; IN MY NAME shall they cast out devils; they shall speak with new tongues; They shall take up serpents; and if they drink any deadly thing, it shall not hurt them; they shall lay hands on the sick, and they shall recover” (Matt. 28:18,19; Mark 16:17,18). No! No! No! These supernatural signs follow the Name of Jesus. They accompany the believing ones. If your spouse, or a friend, accompanies you some place, they go right along with you. These signs go right along with the believing ones. “But that was just for the early Church,” religious people tell us. If that is so, then the Name of Jesus does not belong to us, for it is “in my Name” that they accompany the believing ones. If that is so, then the Name of Jesus belonged only to the early Church. And if we do not have the Name of Jesus, then no one is born again today, for there is no other Name given under heaven whereby we must be saved (Acts 4:12). But, blessed be God, the Name of Jesus does belong to us today! And, thank God, there is salvation in that Name. Yet there is more than salvation in that Name. That Name still enwraps all the power, all the majesty, and all the glory it ever did. The Father God has lifted Jesus to the highest position of the universe. Jesus is seated at the right hand of the Father on high, far above every known authority. God the Father has conferred upon Him the highest Name in the universe—the Name above every name. He has bestowed upon Him honor, glory, and power. Jesus with His resurrected body is there at the right hand of the Father. But, that Name has all the authority, all the power, all the dignity, all the majesty, and all the glory that Jesus the Person has. The Name stands for the Person. This honor, this glory, this authority, this power, is vested in the Name of Jesus. And this Name is given to us! The Church has been rich since its beginning. Yet, thinking we were being humble, we sat around and sang, “Here I wander like a beggar, through the heat and through the cold,” or, “Just build me a cabin in the corner of glory land.” That’s not being humble. That’s being ignorant. We have a rich inheritance—the Name of Jesus! Would to God that we could catch a glimpse of what it means. Too often, the Scriptures we are studying fall on deaf ears. Would to God we would get the revelation of what God’s Word says to us about it. E. W. Kenyon did. I want to quote what he has written under the subtitle, “New Land Ahead.” And remember, he wrote this several years ago. We are getting more into the edge of this now than they were in the day he wrote it. Oh, that our eyes were open; that our souls would dare rise into the realm of Omnipotence where the Name would mean to us all that the Father has invested in it; that we would act up to our high privileges in Christ Jesus. This is practically an unexplored tableland in Christian experience. Here and there, some of us have experienced the authority vested in the Name of Jesus. We have seen the lame walk, the deaf hear, the blind see; those on the verge of death brought back instantly to health and vigor; but, so far, none of us have been able to take a permanent place in our privileges and abide where we may enjoy the fullness of this mighty power. Smith Wigglesworth got into the edge of it. In his book, Ever Increasing Faith , he tells about going to Wales to pray for a man called Lazarus. 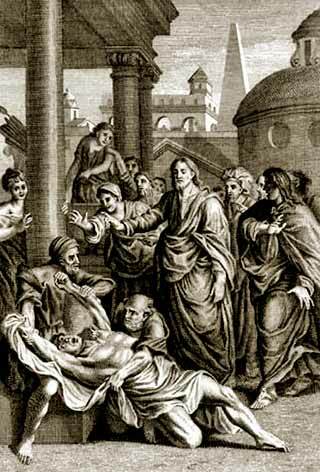 Lazarus had been a leader in the assembly, working in the tin mines days and preaching nights, until he broke down physically and collapsed. Tuberculosis set in. He lay bedfast and helpless for six years. God spoke to Wigglesworth and told him to go raise up Lazarus. When Smith walked into his room, Lazarus looked like a skeleton with skin stretched over it. Wigglesworth endeavored to get him to release his faith; to believe God. But he was bitter. Others had prayed for him. He thought God should have healed him. After all, he had given his life to Him, working days and preaching nights. So seven people, plus Wigglesworth, went into the room where Lazarus lay on the verge of death. The eight believers circled the bed, holding hands. 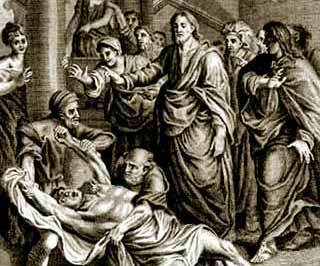 One brother took one of Lazarus’ hands; Wigglesworth took the other to include him in the circle. The power of God fell, and then it lifted. Five times it fell and lifted, as the little group spoke that magnificent Name. The man in the bed was unmoved. The sixth time the power of God came down on that man, it remained. Wigglesworth said, “Repent, and God will hear you.” He repented and cried out, “Oh God, let this be to Thy glory.” When he said that, the power of God went through him. Wigglesworth said, “As we again said, ‘Jesus! Jesus! Jesus!’ the bed shook, and the man shook. I said to the people who were with me, ‘You can all go downstairs right away. This is all God. I’m not going to assist Him.’ I sat and watched that man get up and dress himself. We sang the doxology as he walked down the steps. I said to him, ‘Now tell what has happened.’ It was soon noised abroad that Lazarus had been raised up and the people came from all the district round to see him and hear his testimony. One of the leaders of a certain Full Gospel denomination told me of an experience he’d had in his youth. He started preaching at the age of 14. When he was 16, he held a youth meeting in Iowa and stayed in the home of the pastor, who had children near this young minister’s age. The pastor was called away to preach a funeral in another state. While he was gone, at 2 o’clock one morning, one of the church members came to the parsonage. A 3-year-old girl was very sick. She had gone into convulsions. The pastor’s wife prepared to go to their home to pray. She asked the evangelist, just a 16-year-old boy, to go with her. She was in the ministry with her husband, but she was not called to preach. So they asked the young minister to pray. He told me, “The child was in convulsions. I laid hands on her and prayed. I did everything I had ever seen anybody do. I said everything I ever heard anybody say. Nothing happened. The child still was in convulsions. “We were on our knees. One by one, we picked it up and sang praises and the Name of Jesus. While we were singing, the child suddenly grew quiet; the convulsions ceased. “We stopped singing, sat around and visited about 10 minutes, and the child seemed fine. Then suddenly, she went back into convulsions. We prayed. I laid hands on her again, anointed her with oil, and said everything I ever heard anybody say. I rebuked the devil. I commanded the child to be well. Everything! Nothing seemed to work. He went on with the meeting for several days. The child was perfectly well. Mr. Kenyon goes on to say something which expresses my convictions. I have said these very words myself. But we have a conviction that before the Lord Jesus returns, there will be a mighty army of believers who will learn the secret of living in the Name, of reigning in life, living the victorious, transcendent, resurrection life of the Son of God among men. What did this Roman centurion say to so marvel Jesus? Matthew 8, 5-10 Came alive in my spirit, never seen it this way before, I see a generation who will have consistent success as a result of this Name, and not just occasional success. Thanks for this article I have been blessed. Matthew 8, 5-10 CME alive in my spirit, never sent it this way before, I see a generation who will have consistent success as a result of this Name, and not just occasional success. Thanks for this article I have been blessed. I believe in name Jesus more and more through the reading of this beautiful writeup. I have encountered his lovely voice ones when he asked me a question. So inpartful l have gained more understanding today and the writing is in simple words. God bless you all. I totally believe that everything we do in life or desire in life – physically, emotionally or financially should be asked for in the Name of Jesus. However, I have noticed that all references to the Power in the Name are herein only concerning healing of diseases and sicknesses, raising from the dead and deliverance from tormenting spirits. My question is about the mountain moving faith that Jesus referred to in Mark 11:23-24 – does this not have to be done in the Name of Jesus? Is this mountain moving faith available to unbelievers also, those not Born Again? Ms. Joseph, I have been studying Mark 11:23-24-25 for a long time and to better help you with your question. The Bible tells us in John chapter 3:5-6-7-8. You must be born again the bible says lest you be born again you cannot inter the Kingdom of God or inter the method or the way God does things. Brings me to Hebrews 11: 1. Now faith is the substance of things hoped for and the evidence of things not yet manifest or seen. Brings me to Mark 11:22 Jesus said to His Disciples after speaking to the fig tree saying no man eat fruit from you from this day and forever. Saying we must have the God kind of faith or the faith of God. Brings me to Hebrews 11:6 says he that comes to God must believe that He is a rewarder of them that diligently seek Him It goes on to say with out faith it is impossible to please Him. So therefore the unregenerated man is a man that is not born again or a unbeliever a man like the man in the book of James a man that is tossed to and frow like the wind of the sea. Is unstable in all of his ways how can he receive anything from God? Then Romans 10:17 says Faith comes by hearing and hearing by the Word of God. I have been studying the word of God for 30 years as I recall I never thought on the word of God till I was born again. So Ms. Joseph maybe this answers your question I pray it does. Maybe this will help you Ms. Joseph Have you ever ask Jesus into your heart? say this prayer after me. Dear Jesus come into my heart save me, thank you Jesus I am born again thank you for saving me Amen. Dale. You must be born again for you to enter the Kingdom of God but the Name of Jesus Christ is available for use to everyone; whether born again or not. As long as you use the Name of Jesus and believe in it, whatever you ask will be done. However it would be wise for you to be first born again and then do the works of the Lord otherwise you will open yourself to many problems if you are not saved. in Bible… raise the dead mean that dead person who died just before 3 or 4 days or that dead person who die befor months and years ago??? please explain it thanks. When Jesus raised Lazarus from the dead the Bible says he had been dead 4 days. The Bible also talks about Jesus stopping a funeral procession and healed and made alive the man about to be buried. The Bible does not say how long he had been dead. When Jesus died and was buried, He rose from the dead in 3 days, but when He raised he raised approximately 545 dead people with Him, Those people had been dead probable days, months, years, and longer. They walked around, and carried on with life, so many people saw them they wrote down that the people had been dead, but were alive again. Jesus is amazing, he touched a man with leprosy, and healed him. He healed blind people, paralyzed people. The most disparate people. And he is still healing them today. I hope this helps you with your question. Have a beautiful day, and God bless you. Wow! Bless be God who has n8t leave us as Ophans but has given us Name that’s above every other names. His name works wonders All Glory, honour and power be unto his Holy Name. I remember when I early found christ Jesus I got a broken leg after a football game. Reaching my house that day I heard a still small voice saying Jesus can fix you. I turned to the leg by laying my hands on the broken bones and say ” satan everything bad come from you and everything good comes from God, broken leg is bad so is not from God so In the Name of Jesus pick up you mess and get out” it contained doing what I am doing that and left to my mothers shop. On the road I found out that I can walk very well and my bones are in order HALELUAH!! I am a cancer survivor of 2005..Bless the name of Jesus! It was by faith in God, gifts of healing, the laying on of hands, people constantly prating and oraising God, who believe in miracles with me that God brought me through. I didn’t have to take all of the treatments! It wasn’t easy, but I made it..Bless The Lord. The honor and glory is the Lord’s. It was in Jesus name that I was healed. I was blessed to know the teaching of Kenneth E. Hagin sr. Infact, the founder if the Bible school I was under, was founded by the couple who attended prayer school under the anointed, Kenneth E. Hagin, senior. In the 1970’s my pastor taught us about miracles and healing from Hagin sr. He actually came to our church, along with Roy Hicks. Hagin sr. re-editied a book with Roy Hicks, ‘Bodily Healing & The Atoinment.’ It is a great book to read about healing . Bless the Lord from whom all blessings flow! Agreed, God has never left us, He is always telling us what we need to do to receive His goodness, we only need to listen and “do” what He tells us. Amen. How do i surrender this to God for my husband first, take my hands off–but then am i still to pray and believe for healing and deliverance? He cannot understand most times i pray, so i am in this on my own. it is very rough. Can someone help me know how to do this? i feel sick, confused of what to do. I hope to find you and your family well. 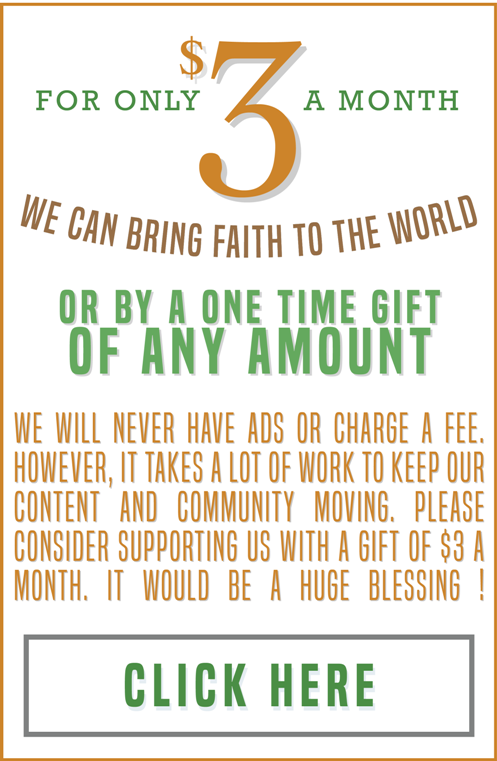 Just saw your post and want to give you a little bit of what Jesus has given me so far. It is important to surrender to God but also not forget our responsibility as a believer. Mark 11:23,24 says we must speak to our mountain and command it to leave and believe in our heart and begin to speak the word of God over your husband and his mind( you can have what you say). Find scriptures that covers what you are believing for (healing) and speak those over your husband. Jesus already paid the price for your husband’s healing. Get rid of unbelief by fasting, listen to preaching filled with faith and confess the word. Never let doubt words come to your mouth. Speak life, little by little you will see your husband improve and be completely made whole. Debbie, I totally agree with her, you do have to confess the word over him, (Scriptures) Listen to Ken Hagin, Katherine Kuhlman, Benny Hinn, and Oral Roberts. The Word of God works when you are convinced beyond a shadow of a doubt that God can make it happen (that your husband will be healed) once he is healed keep standing on the word, Don’t stop, and never give up!!! Debbie, I have healed myself many times from a number of things by taking the authority of Jesus, and using His name in confessing my healing. From this action, I began searching online for herbal remedies, paying special attention only to ideas and writings that seemed meant for me. I believe those remedies were found with the help from the Lord. I had no insurance for years, and these things helped me quite clearly. I always give thanks to God for them because I know what damage the alternative can bring. For dementia, I have seen much research and video testimonials of foods and supplements that I believe are true (of course, not all of them are likely true). Take a bit of time, and search (libraries have computers and will take the time to help you with this). I pray complete recovery for your husband, in the name of Jesus. God bless you and your family. To God be the glory. Oh, Going through this it multiply my Faith more in Christ Jesus, I Am a lady Full of Faith, and my faith is build on nothing Else, but in Christ Jesus, I am going to use this Authority right now Concerning my younger Sister who has being Afflicted with Arrow of Epileptic in the name Of Jesus, will get you back with my Testimonies. Today, Today, Today. This prophecy is fulfilled in me. Jesus. I am speaking the name of Jesus for my grandson’s Gabriel’s deliverance over drugs. I am a Believer of miracles. Thank God for this family and for them having good friends like you, full of faith. God bless you dears. This post is very timely, a friend of ours, 1000 kms aways sent us a prayer request for a young mum with a 4 year old and a 2 year old. The four year old is in Hospital with a life threatening disease. .prayed for her baby, spoke to the disease, cast it out and have forwarded this mailing to her via whats app and boy is she alive now. All is well and Jesus is still Lord.